Fall semester is over for me and now I have time to connect with friends and prepare for the holiday’s family gathering. I appreciate my class instructors, Matt Jenkins and Dawn McFadden—all they have shared and the patience to review “one more time!” The semester’s experiences have strengthened my art foundation and witnessing my classmates’ creative processes has opened my eyes to new options in personal expression. Thank you, all, and happy winter break! 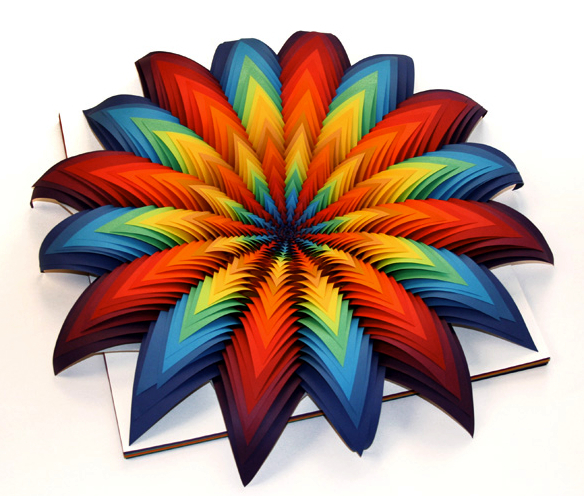 I considered Jen Stark as the reference artist for my final 3-D Design installation project. 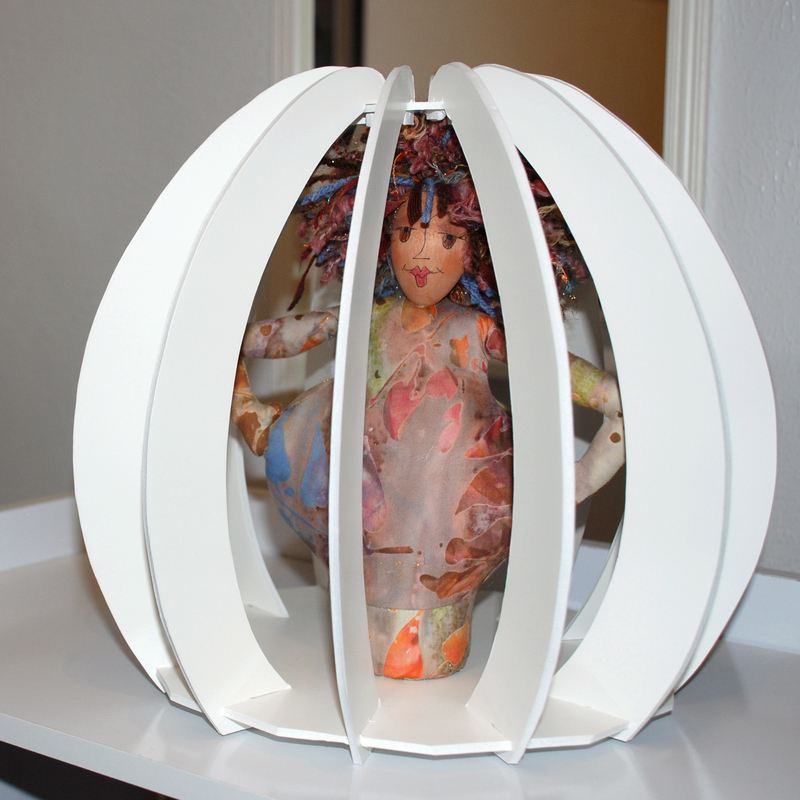 She’s a young artist who works, primarily, with paper and wood. 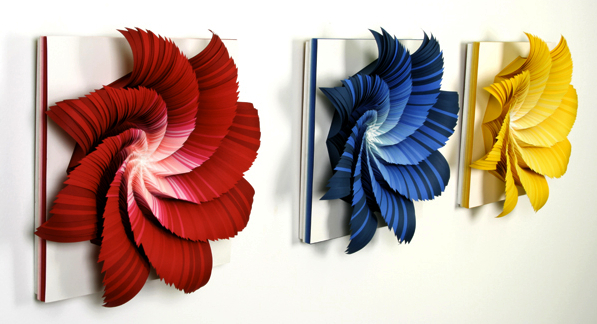 Her hand-cut paper sculptures fascinate me. The third portion of our hybrid project—after clay maquettes and fabric sculpture—is to build a planar structure that includes negative space related to a simplified portion of the previous fabric sculpture. 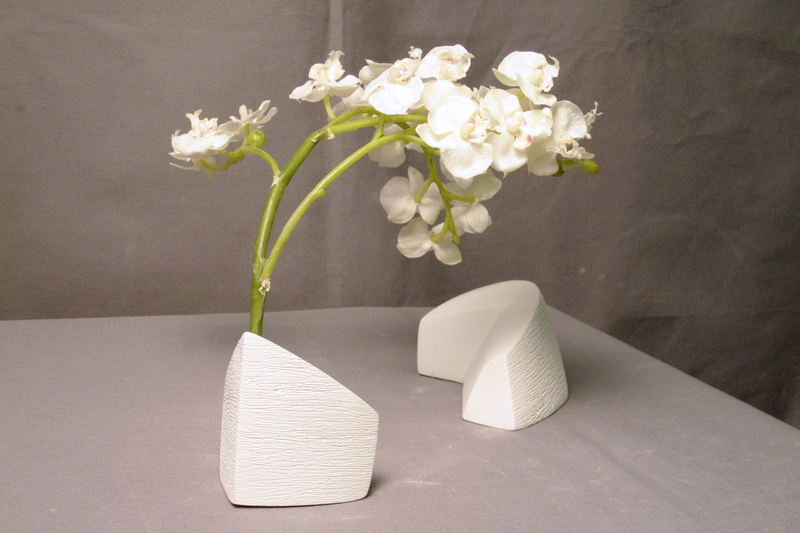 Three planar maquettes preceded the final foamcore design. 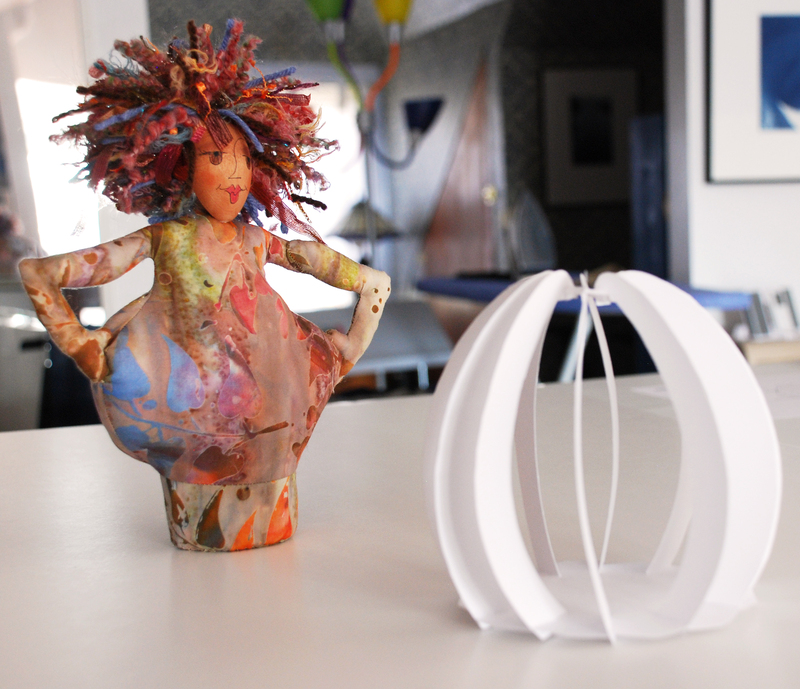 In this final maquette, the interior oval is the negative space that relates to the top portion of my fabric sculpture. 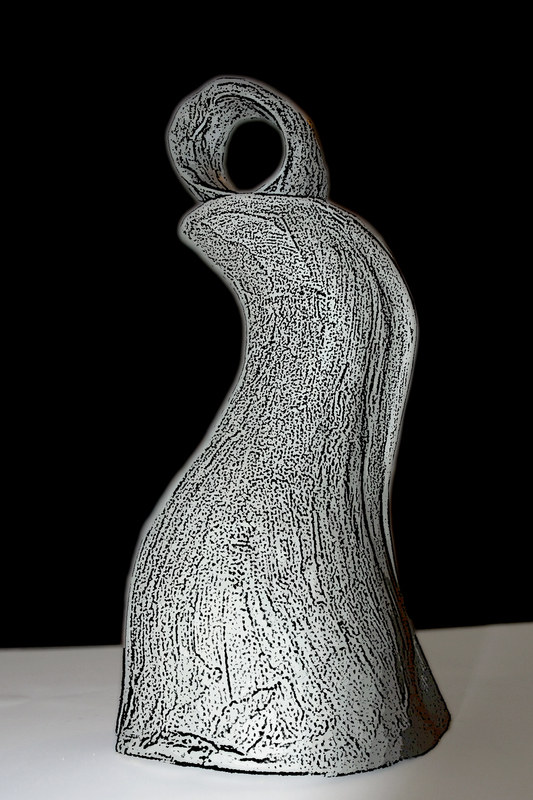 This is the fourth idea for my fabric sculpture project. The clay was formed around a wire armature to create an abstraction of an inverted wine goblet and an egg-shaped place card holder. 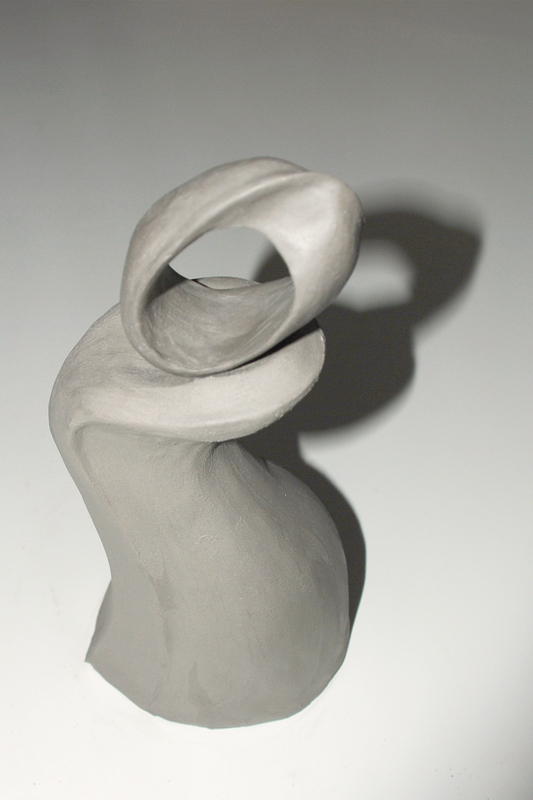 My hope was to create a mobius strip in the clay maquette. I didn’t quite reach my goal but I like the organic shapes with their contrasting curvilinear edges. 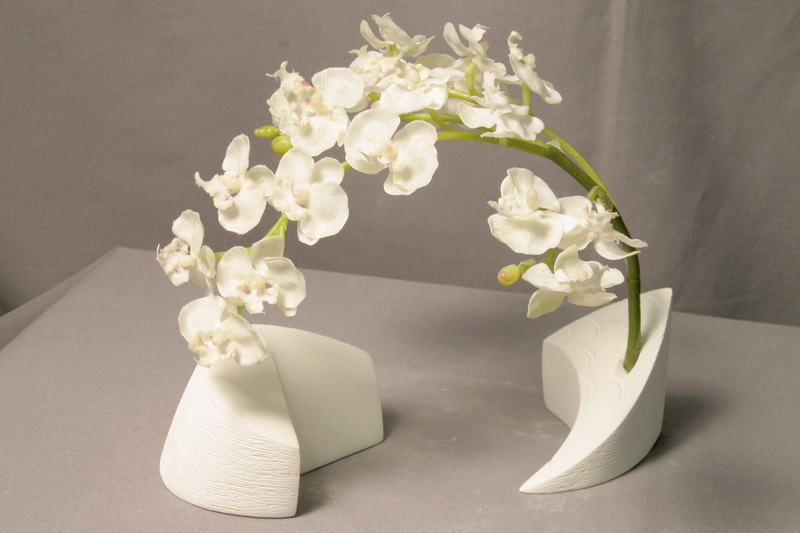 After taping the maquette, I can prepare a pattern for a 20″ fabric sculpture. I’m still cleaning plaster dust from my home workspace! “Broken Dreams” is an abstraction of a sinking sailboat. I had moved to Florida to live on a Hunter-33 sailboat but have since chosen to live closer to my grandson. 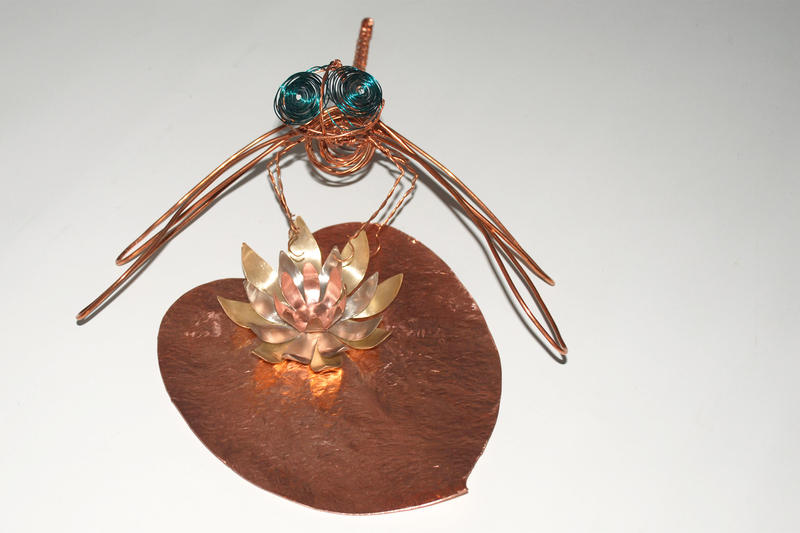 A dragonfly wouldn’t be my first choice in sculpting models, but creating a wire insect was our assignment. 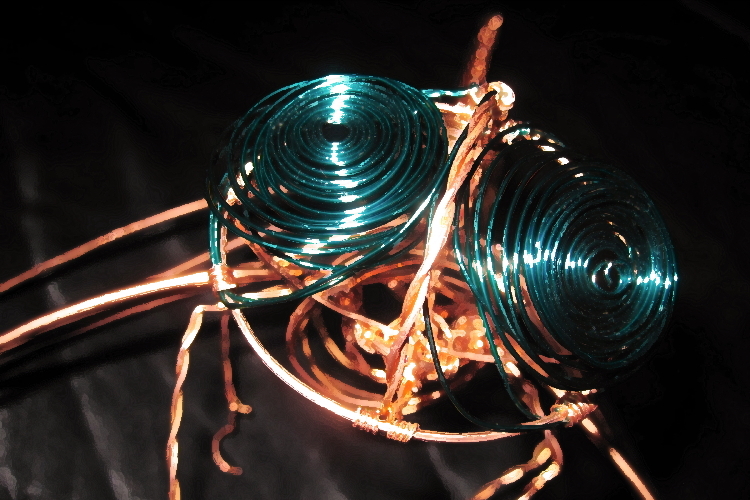 “Aerial” was constructed from 14, 16, 18, 20, and 22 gauge copper wire. 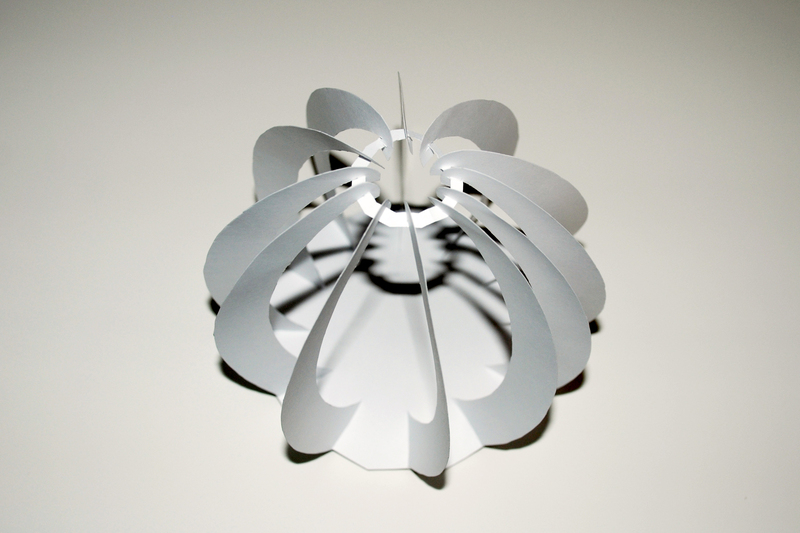 Spiral, coil, and cold connection techniques were used to create a two-part structure. 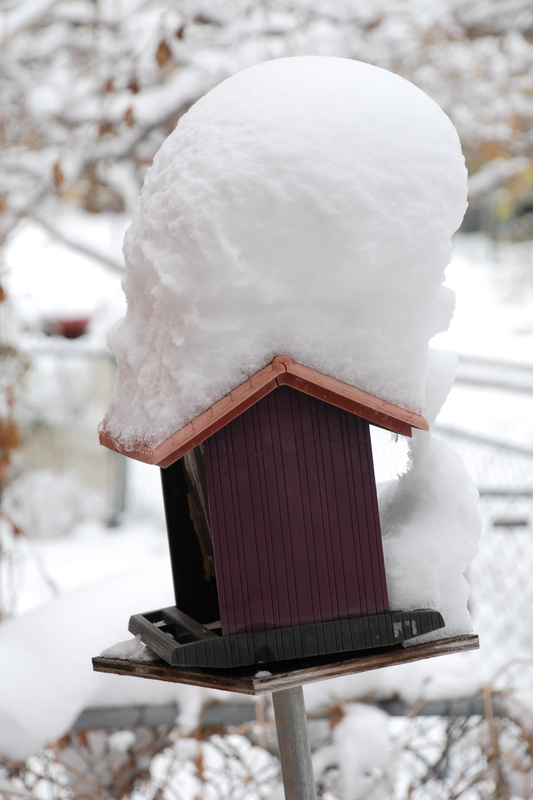 The back wings provide a stand upon which the rest of the sculpture rests. 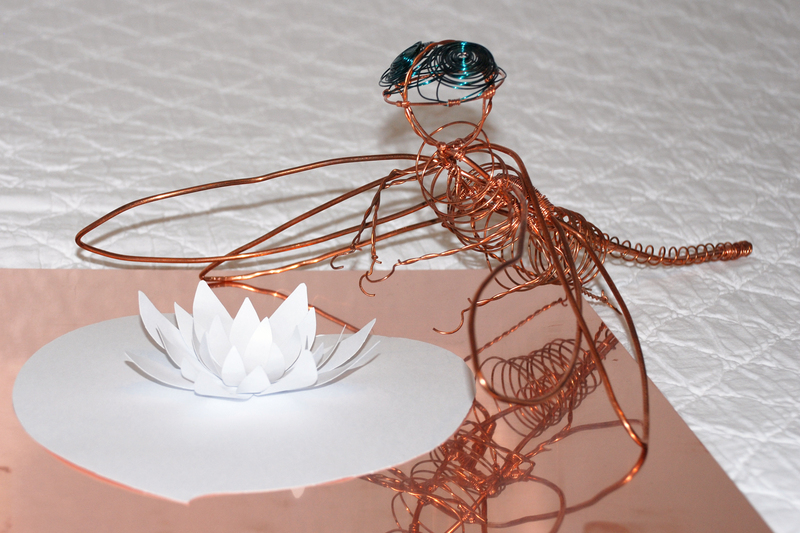 Copper, brass, and nickel sheet metal were hammered, cut, sanded and riveted to make Aerial’s water lily.